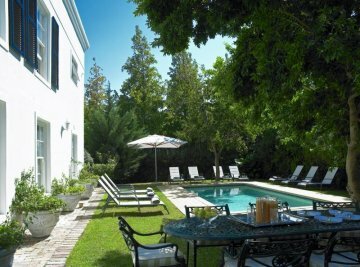 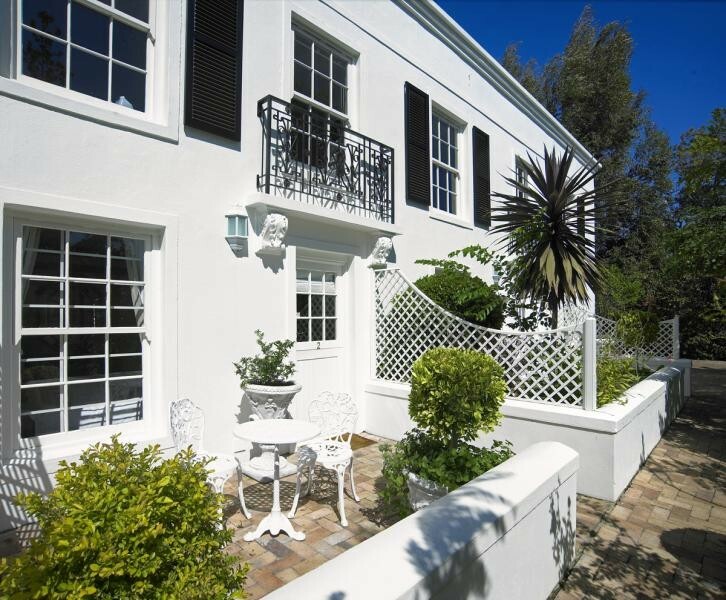 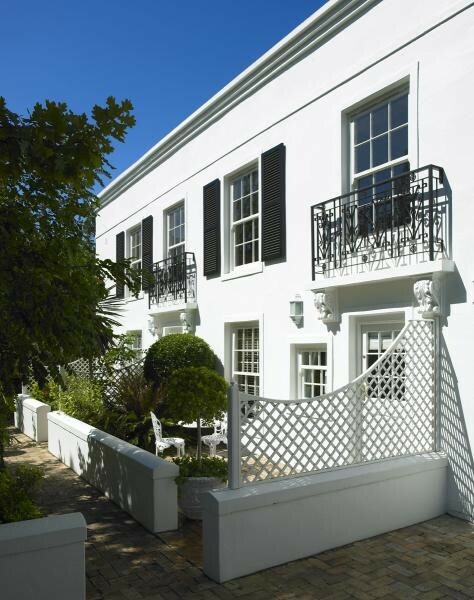 This tranquil Georgian-style boutique Bed & Breakfast in the heart of dream-destination Franschhoek, just an hour out of Cape Town, is highly sought-after and recognized. 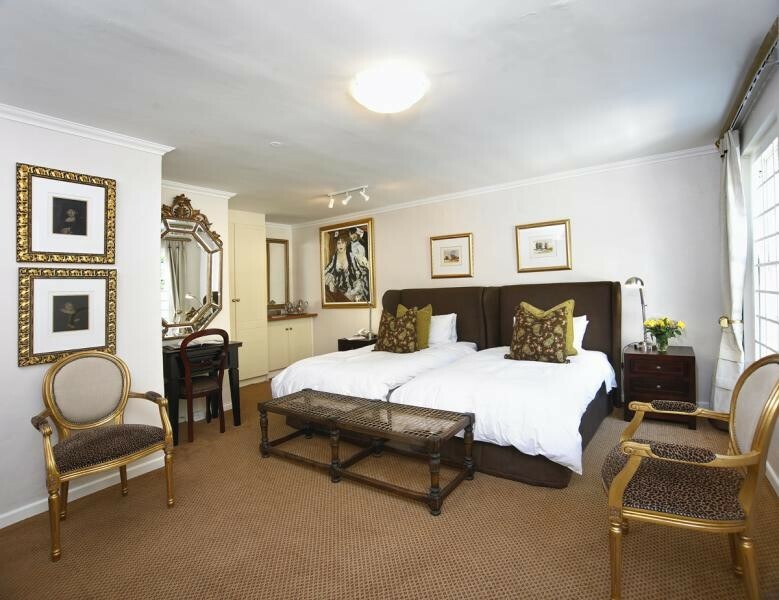 Rated "Upper four-star Luxury" by The Portfolio Collection. 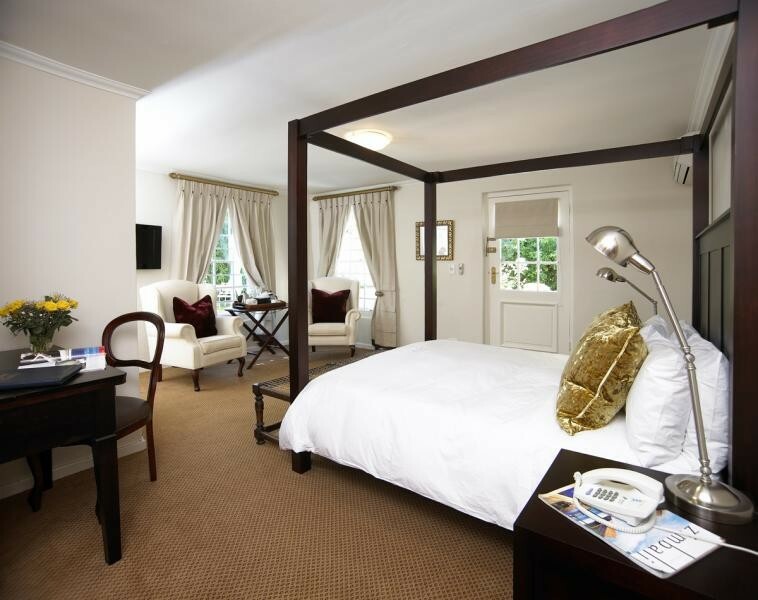 Each of the newly-renovated and beautifully decorated, seven contemporary bedrooms feature an en-suite bathroom, top of the range furniture and decor, luxury embroidered linen and individual DSTV. 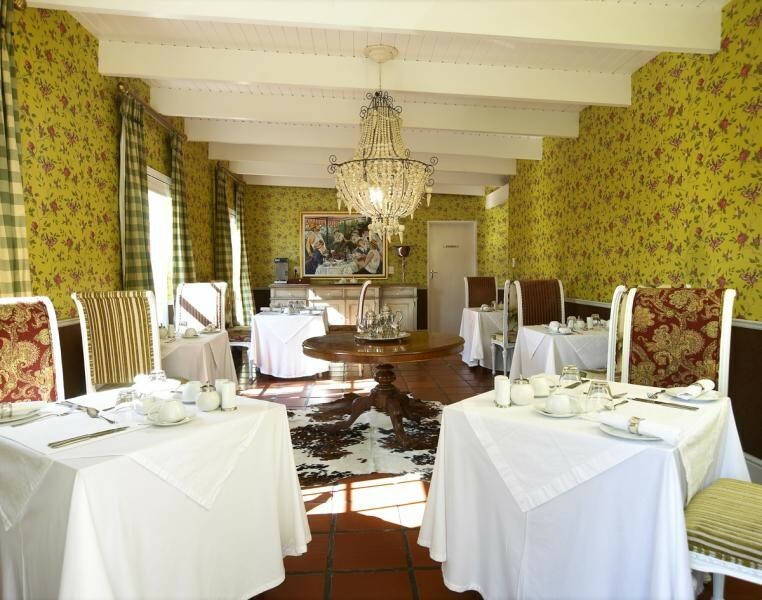 A sumptuous breakfast is served every morning in the gorgeous sun-filled breakfast room and is included in the value-for-money rates.